Over the last decade or so, America’s obsession with bartending has thankfully matured from supermarket margarita mix to house-made everything. But even though certain malt beverages (we won’t name names) have fallen out of vogue, the appeal of ready-to-drink cocktails has endured. Who doesn’t want the ease and convenience of a premade drink you can take to the beach? For anyone who has ever wanted something a little stronger at a picnic or shuddered at the idea of paying $15 only to feel bad about ordering the “wrong” drink at a fancy bar, your moment has come—and just in time for summer. That’s right: First it was wine in a can, then it was the proliferation of shandies you actually want to drink and now the canned beverage that has everyone talking is the cocktail. Before you roll your eyes over the thought of once (and maybe justifiably) maligned bottled cocktails, get a load of the innovative cans hitting the market, proving aluminum-encased cocktails aren’t only handy but delicious, too. Of course, it’s not a new trend entirely. Gosling’s Rum, for one, debuted its canned Dark ‘n Stormy way back in 2011. “Cans are preferred over breakable glass for boating, golfing, and enjoying poolside,” president and CEO of Gosling-Castle Partners E. Malcolm B. Gosling explains of the early decision to pursue cans. Meanwhile, in 2014, The Cooper Spirits Co., the parent company behind beloved elderflower liqueur St-Germain, debuted a spiffied-up take on an old-fashioned under the name Slow & Low. Batched from aged rye whiskey, dried oranges, raw honey, bitters and rock candy, it was inspired by “America’s original bottled cocktail,” dating back to the early 1800s, Robyn Greene, the company’s senior vice president of marketing and innovation, says. Echoing Gosling’s intent to provide portable beverages for an active audience, Greene agrees that “consumers are living a more on-the-go lifestyle than ever before, and they also crave products with heritage and authenticity.” It was with this in mind that The Cooper Spirits Co. launched mini 100-milliliter cans of its popular pre-Prohibition elixir last fall. 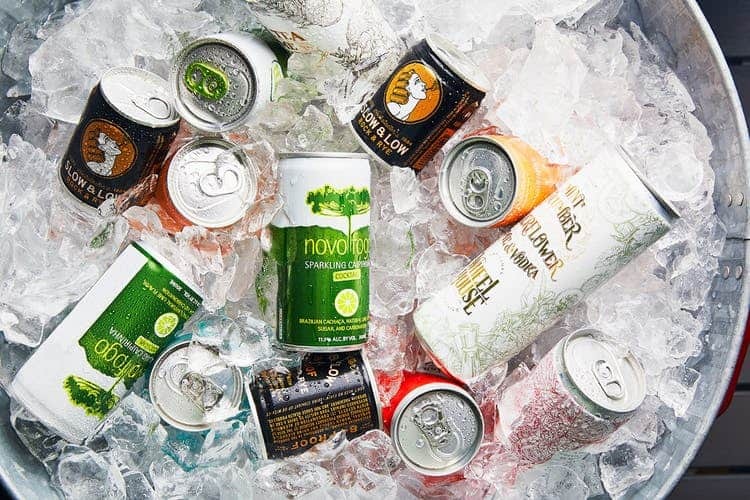 “It’s fun to drink out of an ice-cold can,” Sacramento-based bartender Ryan Seng professes. “All the better to drink out of a can if that drink is a great cocktail.” After spending years batching cocktails for busy bars, Seng noticed a void in the market for ready-to-drink libations that weren’t overly saccharine or pumped with artificial ingredients. So he founded Can Can Cocktails with a Kickstarter campaign last year and is now churning out drinks like bourbon root beer and vodka with honey, mint and lemon. And while Axinte believes that canned cocktails are still a trend in the making, new players are joining the game every day. Just a few months ago Brooklyn’s Interboro Spirits & Ales launched a canned gin and tonic, and by the end of this summer, you can expect a mix of classic and modern canned cocktails from two newbies, Half-Seas and WheelHouse Canning Co.—proof this genre has a bright future. We’ll drink to that. 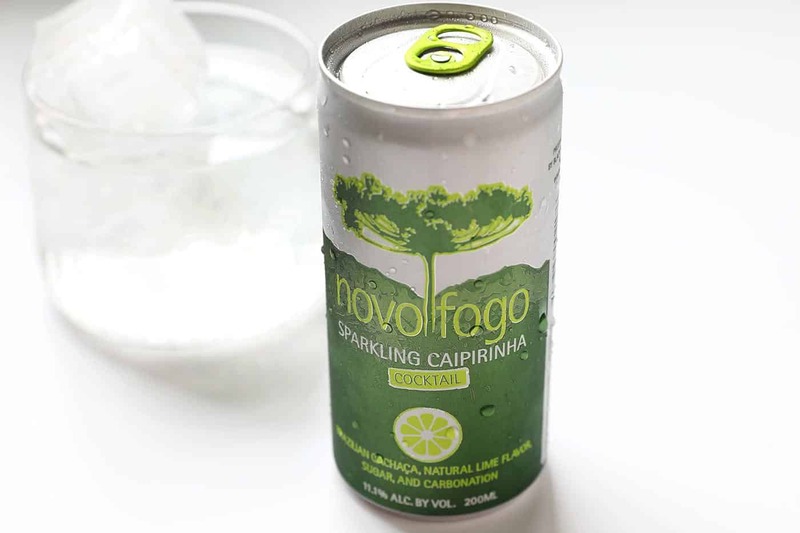 A surprisingly fresh nose of tropical fruit confirms you’re drinking a caipirinha made with one of the best cachaças available in the U.S.: Novo Fogo, a brand lauded for its work with aging spirits in native Brazilian woods. Highlighting the rum’s vibrancy, this 200-milliliter, 11.1 percent ABV sipper comes carbonated, making the limey drink that much more refreshing.